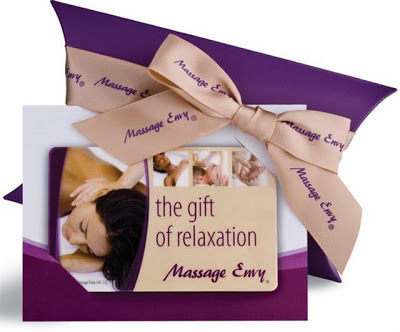 Massage Envy Mother's Day Giveaway! Earlier this week I got a chance to visit Massage Envy in Utah with the Connective Circle. I had never been to Massage Envy before so I was excited to check them out. They gave us mini massages and sugar foot scrubs, it was heaven! Massage Envy has a great staff and they offer awesome massage prices! Did you know you can get a $49 1 hour massage on your first visit? I told you they have awesome prices. They also offer a monthly membership plan. I would love to get monthly massages! Just in time for Mother's Day I am giving away a 1 hour massage at Massage Envy to be used at any Massage Envy along the Wasatch Front in Utah. The giveaway ends at midnight on May 9, 2013 and the winner will be announced on May 10th so hurry up and enter. To enter the giveaway you simply have to leave a comment on this post (mandatory) and then enter on Rafflecopter below. A mothers day massage would be heavenly! What mom coldn't use this--i know I would LOVE it! Breakfast in bed one year. My best present was some time just for myself. For my first Mother's Day last year my husband got me a card. So since I'm not expecting much this year, winning a massage would be really great!